My product packaging looks different from the last time I ordered. Is it the same product? Yes. As of February 2017, we updated the product cartons for our top products with a new look. However, only the outer carton has changed. Inside, you’re still getting the same great products and ingredients that you know and love. We think the new design better reflects the purpose of our mission – to provide products that have multiple benefits – sun protection, skin care benefits, and correction. Plus, we think the new design just looks great, and we hope you do too. What type of coverage does your natural finish pressed foundation provide? I'm a previous user of your pressed mineral foundation. What shade of your new natural finish pressed foundation should I use? We spent countless hours reformulating our shades to create neutral shades that will be a fit for more skin tones while simplifying the choice down to fewer options so that you are more likely to get the right shade on the first try. One significant change is that all of our shades are now neutral, while our previous shades incorporated either cool or warm undertones. If you already use our Tint du Soleil foundation or Brush-on Sunscreen, it’s easy to find your match, since you already know if you’re Light, Medium, Tan or Deep. If you’re new to Colorescience, first decide which of the four shades you fall under, and then read on. Light will match with our Light Ivory shade. Deep will match with our Deep Mocha shade. Medium skin tones simply need to decide if they are on the lighter or darker side of medium: Medium Bisque is lighter; Medium Sand is darker. Tan skin tones also choose between two shades: Tan Natural as a lighter tan, and Tan Golden as a darker shade of tan. Since all shades are neutral, they blend seamlessly into the skin, matching a wide range of skin tones. I'm looking for a product I've used for years, have you changed the name? Over the years we have updated some of our product names and packaging as our Colorescience brand has evolved. Our beloved Primers are now found under the SKIN PERFECTOR Tab. Chocolate Mousse Skin Mattifier has been permanently phased out. Our signature Sunforgettable SPF30 & SPF50 is now listed under UV PROTECTORS Tab. Brush-On format is the only available application method available. Almost Clear is now Tan. Double check that the rubber band has been removed from the bristles. If you're still having trouble activating your brush, hold the brush with cap facing down and tap with moderate pressure on a hard surface 6-8 times. Then, remove cap, run your finger through the bristles and sweep the brush in small circular motions using moderate pressure on the back of your hand. Repeat as needed until powder flows consistently. Clean brush bristles weekly with our brush cleaning wipes for optimum use. Why are the expiration dates on only some Colorescience products? The FDA has established requirements for all over-the-counter drug products (sunscreens) to go through stability testing to assure products are stable and have appropriate expiry dating. All products with less than 3 years real time stability testing must include an expiry date on their packaging per federal regulations. After the product passes 3 year real time stability testing then a company has the choice to no longer include an expiry date as the testing supports stability for at least 3 years. Are Colorescience products certified as gluten-free? None of our products are certified as gluten-free as no testing has been done on any finished product. That claim is usually reserved for food products. All of our raw materials are sourced as gluten free but we cannot guarantee there is no cross contamination with gluten ingredients in the production and transportation process. Colorescience formulas are 100% paraben free. In addition, all Colorescience® products are also 100% free from phthalates, synthetic fragrance, animal testing, talc, dyes, mineral oils, drying alcohols & chemical sunscreen. What sets Colorescience apart from other mineral makeup? Colorescience only uses the highest proprietary blend of minerals and no fragrances, no mineral oil, alcohol or talc and have sunscreen in most of our product line. Does Colorescience do animal testing? Colorescience does not conduct any animal testing and we are committed to the highest standards when choosing raw materials for our product formulations. We require non-animal testing statements on all raw materials before final formula approval. Why does Colorescience Mascara go on dry? It actually improves your lashes with panthenol and is a dry mascara versus a wet mascara which streaks. Remember to never pump mascara which dries it out and attributes to bacteria. All mascaras should be replaced every three months. The concern with “powder” sunscreens has been the very small particle sizes used in some powder sunscreen formulations. The particle size that has risen concerns range in size from 1 and 100 nanometers. Colorescience can confirm that all of our Mineral Sunscreens have been tested and do not fall into the above mentioned small particle size. What is the difference between SPF 30 and SPF 50 Brush-On Sunscreen? SPF 30 is available either matte or shimmer and has more of a tint. It is also for active use and is water resistant. SPF 50 is matte with a light sheer tint. Both products need to be applied every 80 minutes. Does Sunforgettable SPF 30 and 50 meet all the new requirements laid out by the FDA? Yes. Colorescience is in compliance with the new OTC sunscreen monograph. Broad Spectrum designation. Sunscreens that pass FDA's broad spectrum test procedure, which measures a product's ultraviolet A (UVA) protection relative to its ultraviolet B (UVB) protection, may be labeled as "Broad Spectrum SPF [value]" on the front label. "Waterproof," "sweatproof" or "sunblock" claims. Manufacturers cannot label sunscreens as "waterproof" or "sweatproof," or identify their products as "sunblocks," because these claims overstate their effectiveness. Sunscreens also cannot claim to provide sun protection for more than 2 hours without reapplication or to provide protection immediately after application. Why does the Colorescience product I bought have different ingredients from what's listed on your website? Our formulations change from time to time. The ingredient listings on our website are currently in distribution. If you bought our products elsewhere, they may be based on an older formulation. Please note that every Colorescience formulation contains efficacious ingredients and is formulated to be stable and safe. Why were some of your product refills discontinued? The decision to discontinue the Sunforgettable refills was made primarily with our customersâ skin health in mind. Our Quality Control along with R&D teams were finding that the brush will tend to become slightly clogged little by little after being used over an extended period of time (even when cleaned regularly). When this happens, the customer does not get an ample amount of powder dispensing from the brush, causing them to not be fully protected. In regards to the pressed foundation compact refills the decision to not offer this item moving forward was made because we found looking at the sales volume that most customers preferred a new compact each time. I found Colorescience products for sale on other websites. Is it safe to buy from them? To find an authorized retail location near you, please use our location finder. We are aware of unauthorized sellers that sell our products through their own websites or via other large websites. Please note that in most situations involving a large retailer, our products are actually being sold by a third-party reseller, not unlike a seller on eBay. We’re unable to verify the authenticity, ingredients, or safety of products purchased through these unauthorized sellers, and we cannot confirm that the products they are selling were manufactured by Colorescience. In some cases, the products may be original Colorescience products, but outdated, expired, defective, or manufactured/packaged for other markets. If you choose to purchase from one of these resellers, please be aware that you do so at your own risk, and we’re not able to stand behind (or verify the authenticity of) those products. The Colorescience Subscription program allows you to automatically receive and save 15% off your favorite Colorescience products. Your subscription orders will ship according to your desired frequency – every 45, 60, or 90 days – ensuring you never run out of your Colorescience essentials. How do I modify the frequency of my subscription shipments? It's easy. 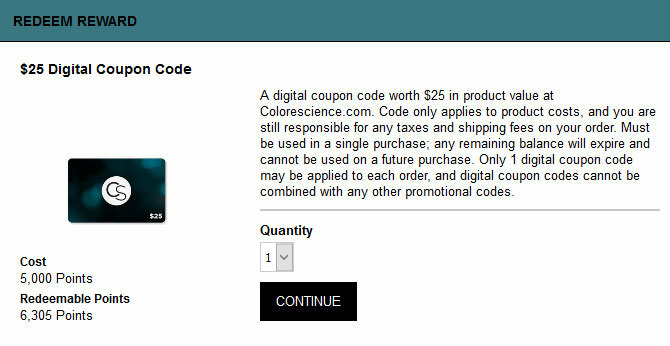 Simply log in to your account on Colorescience.com and click on the 'My Subscriptions' link. You will see a list of all your product subscriptions. Click the 'Edit' button beneath the product you would like to modify and then select your desired frequency from the drop-down menu. Remember to press the 'Save Changes' button. What if I would like to ship my subscription order now instead of waiting until the next scheduled date? It's easy. Simply log in to your account on Colorescience.com and click on the 'My Subscriptions' link. You will see a list of all your product subscriptions. Click the 'Ship Now' button next to the product you would like to ship and click 'Yes ship now' in the pop up window to confirm. Once you have confirmed, we will process your subscription order on the next business day and automatically update your next shipment date according to your desired frequency. Please note: On rare occasions, our shipping warehouse may experience unexpected delays due to unforeseen circumstances so if you need your subscription product in time for a very important date, please ensure that you modify your order date well in advance to ensure you receive your product in time. It's easy. Simply log in to your account on Colorescience.com and click on the 'My Subscriptions' link. You will see a list of all your product subscriptions. Click the 'Edit' button beneath the product you would like to modify. If you have multiple credit cards on file and would like to switch your subscription payment to a different card on file, simply select the desired card from the 'Payment Method' drop down menu. Or to modify your credit card information, click 'Edit' next to 'Payment Method' to update the name on card, expiry data and/or CVV number. It's easy. Simply log in to your account on Colorescience.com and click on the 'My Subscriptions' link. You will see a list of all your product subscriptions. Click 'Cancel' under the product you would like to modify and then confirm your cancellation by clicking 'Yes, Cancel' in the final pop up window." Once you confirm your cancellation, you will no longer see that product subscription listed in your account. What if my subscription order is placed during a site-wide sale? Will I receive the better sale price? If we happen to be running a site-wide sale during the time your subscription order is processed, we’ll automatically apply the better discount to your order, meaning you always receive the lowest price possible. For example, if we are running 30% off site-wide sale on the day your order is processed, you will receive 30% off that particular subscription order instead the standard 15% subscription discount. This way you can easily set and forget your subscriptions with the confidence that you will always receive the best price. What if I gave the wrong shipping address or I'm not going to be where my subscription is normally shipped? It's easy. Simply log in to your account on Colorescience.com and click on the 'My Subscriptions' link. You will see a list of all your product subscriptions. Click the 'Edit' button beneath the product you would like to modify and click 'New Address' to enter in a new shipping address. Please note, if you only want to ship a select number of subscription orders to the new address  in the event that you are temporarily living in a different residence for example- you will need to manually switch back to your original address when you are back at your original address. To ensure that orders get to our customers as quickly as possible, our system begins processing orders as soon as they are placed. As a result, most orders cannot be cancelled after they have been placed. In some cases, if you call us (during business hours) within 1 hour of placing your order, we may be able to cancel it. If we are unable to cancel your order, we will provide you with instructions for returning your order and receiving a full refund. We unconditionally guarantee our products to be free of manufacturing defects when stored and used as directed on the individual product labeling. We take great pride in our reputation for quality and value. 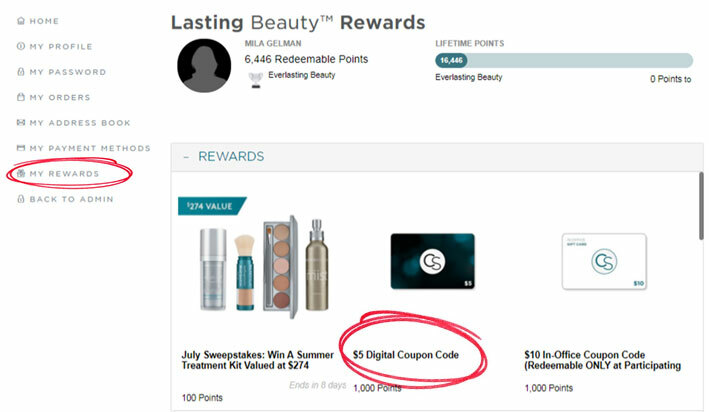 If for any reason you are not satisfied with your purchase, we will gladly accept returns or exchanges within 45 days of the date of purchase for any Colorescience products purchased on Colorescience.com. Unfortunately, we cannot accept returns or exchanges for sale items or for products not purchased at Colorescience.com. You may contact our Colorescience Concierge team at concierge@colorescience.com. We are available from 7am to 4pm Pacific, Monday through Friday. How do I return my colorescience.com order? To initiate a return or exchange, please contact our Colorescience Concierge team by email at concierge@colorescience.com. Refunds for items returned within 45 days of the purchase date will be made in the form of the original payment minus shipping costs. The acceptance of a shipment by a Transportation Company is an Acknowledgement that the articles were delivered to them in good condition and properly packaged. Goods damaged in transit to customers are the responsibility of the customer to report to Colorescience within 24 hours so that a damage claim can be processed through the Transportation Company. If you have received the wrong product, please contact customer service at 1-866-426-5673 or Contact a Colorescience Concierge within 72 hours of receiving the incorrect item at concierge@colorescience.com. If you purchased an item at regular price within the last 14 days and that item has since been further reduced due to a sale or promotion, you will be eligible for a price adjustment. Unfortunately, we do not conduct price adjustments for orders placed more than 14 days ago. If you have received the wrong product, please email our Colorescience Concierge team within 72 hours of receiving the incorrect item at concierge@colorescience.com. You will be given the option to create an account upon checkout. Follow the New Customer prompts located to the right of your shopping bag to set up your new account. To edit your account information, Sign In to your account and then click on My Account located at the top right of the Colorescience web page. Then, click on My Personal Information to make changes to your account. You can reset your password by clicking the Forgot Your Password link, or from the Sign In page, select "Forgot Your Password". To view your order history, Sign In to your account and then click on My Account located at the top right of the Colorescience web page. Then, click on My Orders. If you do not see your order(s) listed, please email our Colorescience Concierge team at concierge@colorescience.com. Colorescience.com charges sales tax on all U.S. orders. Sales tax will automatically be calculated and added to your order during checkout. If you have a questions about your invoice, please email us at concierge@colorescience.com. If you need a copy of your invoice, please email us at concierge@colorescience.com and include your order number. You will receive an email containing tracking information once your order has shipped. Shipping charges are automatically calculated based on destination and shipping service. Free Standard Shipping may be available. Please visit our Special Offers page to view current Colorescience.com promotions. We currently do not offer international shipping and are unable to support shipping to APO/FPO addresses overseas. We also cannot ship to PO Boxes as UPS requires a physical address where someone can sign for the shipment. However, Colorescience products can be found in several countries around the world. To locate Colorescience products near you, please visit our International page. If you are shipping through an International Courier Service or a freight forwarder, we are not responsible for final destination delivery of goods. Once delivery verification has been reported by our domestic delivery service (US Postal, FedX, UPS) we are unable to reship or refund for packages not received. Once delivery verification has been reported by our domestic delivery service (US Postal, FedEX, UPS) we are unable to reship or refund for packages not received. Since Colorescience is not responsible for lost or stolen packages, we recommend you or someone you trust be present to receive your shipment. If you are shipping through an International Courier Service or a freight forwarder, we are not responsible for final destination delivery of goods. If an item is missing from your order, please email us at concierge@colorescience.com and include your order number. We unconditionally guarantee our products to be free of manufacturing defects for one (1) year from the date of purchase when used as directed and maintained between 35° and 105° Fahrenheit. If you feel that you have received damaged goods, please email concierge@colorescience.com within 24 hours of receipt and include your order number so that a damage claim can be processed. Your feedback is important to us. If you wish to report a complaint, please email concierge@colorescience.com. Orders shipping to P.O. boxes must be shipped via Free Economy Shipping or Priority Mail (HI & AK only). For all other shipping methods, please be sure to provide an actual street address for delivery. Orders submitted with P.O. Box for shipping address and shipped via Ground/Air will be downgraded to Economy Shipping.